We are the wardens of the Woods. The blood of the Bosmer. Within the verdant forests of Tamriel´s Garden live the Bosmer, sons and daughters of the woods that feel at ease amongst the leafy ceilings and grassy planes. Formed shortly after the death of King Eplear, by a group of the King´s close council members, the Hunts are a ancient Bosmeri Organization that strikes to maintain and protect the balance of Valenwood and the wellfare of the Bosmeri people. They started off has a secret police ,subordinates of the Camoran bloodline that striked down any kind of threath to the royal family and court..around the end of the First Era however after the events that lead to the fall of the Camoran dinasty to the hands of the Imperials and Colovians the Hunts separated from the crown and started to act has a independent rebel group whit the objective of bringing down the Imperial grip on the Woods. They woud serve no kings,no crowns and no thrones..the only one they were ready to serve was the Valenwood.They woud protect the Bosmer people from outsiders and from themselves.. in trade for the independence the order woud aid the crown has they saw fit and woud parley whit the Camorans before acting..has partners..not servants." The deal was struck followed by the sound of raised tankards and cheers and it holded strong so far. The Vinedusk Rangers replaced the Hunts under the Camorans comand and the Hunts remained independent,even if whit a close bond to the Camoran Kings. They stand vigilant over the greenery,doing what they see fit ,what must be done to protect they´re home...no matter the cost. The Huntsmans lead the Order together deciding on what to do via a cerimony called the Hunstman Conclave were they debate about the best course of action to deal whit a certain threat...the ceremony ends only after at least four out of five members of the Conclave agree on what to do assuring the unity of the Order when acting. The Hunter Marks are artifacts that the Order has passed trough generations of Huntsman,they simbolize the Five Paths and are enchanted whit the primal energy of the Valenwood shifting they´re form and abilities acording to the Huntsmans that hold them,they serve has the keys to start and finish the Huntsman Conclave and represent the bond between the Huntsman,his ancestors and his Path. To become an Agent of the Five Hunts is to give ones life to the Order and to the Valenwood. The Roots- Mer raised since they were infants by the Hunts,these Bosmer usually are promissing orphans rescued by the Order or sons of Agents . The Saps- Bosmer sent by the Camorans to the Hunts in order to start fresh. Amongst the Saps are usually former criminals that the Hunts took an intrest in and the political or militar outcasts that the Hunts accepted. The Leaves- Wood Elfs that acepted to join in...when noticing a Bosmer of intrest a member of the Hunts is allowed to extend an invitation to that person to join the order..if they acept..and whit the Huntsman blessing they are initiated..if they refuse they are free to go away...after a quick memory spell. Every future Bosmer of the Hunts shall choose a Path to take on ..the Huntsman of a certain Path is allowed to invite someone to join his ranks but the final decision always falls on the agent ,once choosen the Path the responsible Hunstman shall acept or refuse the agent,if they are acepted they join the path of they´re choosing, if they are refused they shall choose another Path or otherwise leave the organization. The Path of the Fox- The Foxes are the eyes and ears of the order. Made up of the sneakiests amongst the sneaky this path is responsible for single target eliminations ,eavesdroping and heists of specific objects. It is mainly composed by assassins,spys thieves and others of the kind.Theese cunning individuals lurk in the dark of night handing out arrows in the back and blades along the neck generously to thoose who deserve it. The Path of the Senche- The ones on this Path tend to coordinate the order more..complex operations. Senches tend to be highly racional and pratical individuals, versed in the arts of Warfare and crafting.They act has the main security sistem of the order executing consistent and organized patrols..and are the producers and enchanters of any armory or weaponry. If you need something crafted or a cold mind in battle always turn to the Senche. The Path of the Wolf-The ones on the Path of Trails has some call it are masters of track and capture,skillfull scouts ,hunters and torturers make up the Wolfs pack.They are has efective at finding and capturing someone alive has they are at making them talk...it takes a strong stomach to be a Wolf...and a sturdy pair of hot irons. The Path of the Eagle- Words can be has powerfull has the sharpest of blades...and twice has efective..dont believe it? Then try and piss off one of the Eagles. Experts in rethoric this branch members feel at home amongst the feasts and balls of the nobility. The Eagles soar across the social and influence spheres of Tamriel keeping an ear out for oportunities amongst the court intrigue .Between a forged letter under a cupboard or a whisper mufled by violins the Eagles spread the Hunts wings across the royals to aquire favours,avoid conflicts or end them before they start. The Path of the Owls- If the Senches are the heart of the Order,then the Owls are the brains. Scholars of the most various subjects the Owls provide they´re wisdom to the Order when the need arises. In battle they are has capable of mending a wound whit magic has they are of stitching it up togheter,or placing that lousy bone in place . Due to the less battle oriented vocations of the members of the Owl some people have the stupid idea of underestimate them..they are soon reminded however that a nimble mind in battle is has usefull has a well placed spell or arrow. -"Whispering Woodlands",a ancient scroll hidden in a chest in King Camoran´s chambers"
So yea...this was it ^^,if you are here congrats on sticking trough that mountain of exposition . We are currently based on Mossburrow(that lovely Bosmer Hub Nila talked about) and we do have a few members,a storyline going on and a dice system for said events....most of our info is on the AD site atm but if there is intrest around here i can get to post it here aswell. 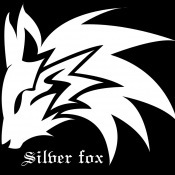 If you are intrested you can either comment down or send me an in game message at @Silverfox99 . I tried to make the Order backstory as lore grounded as possible but dont shy away from calling out on mistakes,criticism is always apretiated . Thank you for reading trough this and if you have any questions/comments or wish to join our disfunctional family just let me know!